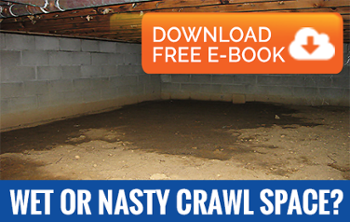 The crawl space of a building is one of the most neglected areas. In most of the cases, people use the crawl space as a dumping ground for unwanted items. Being an underground area, this space houses quite a few utility fittings like heating pipes, water fittings and ventilation pipes. All these fittings and the congested space make the crawl space highly vulnerable to humidity, moisture and water seepage from the foundation floor. In such an environment, rotting sets in very quickly and any seepage issue in the crawl space makes it worse. In addition to this, mold growth damages the crawl space and the structure of a building from within. To avoid all these issues, you need to keep the crawl space moisture-free and clean. Only a professional agency can give you the most appropriate and long-lasting water proofing solutions. AdvantaClean of Brunswick is one of the most sought-after names when it comes to crawl space waterproofing and cleaning. We have been in the Light Environmental Services for more than 20 years and offer the most comprehensive range of waterproofing solutions. Our team of technicians has a scientific outlook on every crawl space cleaning assignment. It first conducts a thorough survey of a crawl space and then suggests the most appropriate and cost-effective waterproofing solutions. AdvantaClean strongly believes in customer satisfaction and hence offers crawl space waterproofing and cleaning solutions that last long.